He said, “The incident happened on Wednesday, October 18, 2017. The man was going to work on the Lagos Island when he boarded the private car. 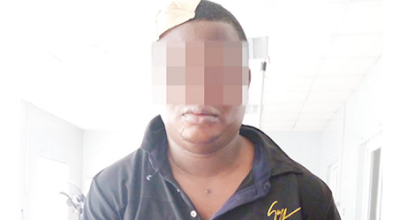 Along the way, they pointed a gun at him and took his ATM card and the N4,000 in his bag. A Punch correspondent, who visited the centre, confirmed that Henry was indeed admitted to the facility. 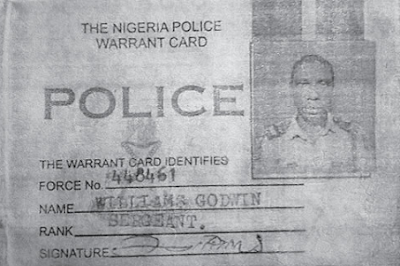 A Punch correspondent gathered that Henry took away the original ID card of the policeman. A Punch correspondent, however, gathered that there had been a surge in the number of victims of One Chance robberies along the Berger/Secretariat/Toll gate ends of the Lagos-Ibadan Expressway. Some of the victims, a Punch correspondent learnt, were admitted to the Accident and Emergency Centre. In the course of investigating Henry’s attack at the centre, a Punch correspondent sighted a victim who worked with a popular club on Lagos Island. The Lagos State Police Public Relations Officer, ASP Olarinde Famous-Cole, said he would call back, but had yet to do so as of press time.